I'm MARILYN ZSCHAU BAARS, author of THE GOLDEN ESSENCE IS YOU, THE ARCHANGELS' GUIDE TO THE ASCENSION. 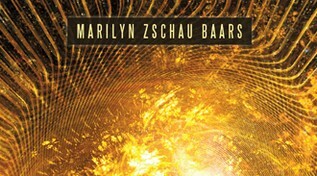 The Archangels have been communicating with Marilyn Zschau Baars for over twenty-five years. However, prior to 2003, she was a well-known operatic soprano under her professional name, Marilyn Zschau. She sang dramatic soprano roles for over thirty-five years all over the globe, on five of the seven continents, and in all of the major opera houses of the world. She began receiving and transmitting messages from the Archangels publicly in October 2008, and they began giving her the material for this book on December 23, 2009. She is a Certified Clinical Hypnotherapist specializing in Past Life Regression Therapy. She and her husband, Frans Baars, founded and are Co-Directors of Archangel Healing, and together they transmit healing energies and messages from the Archangels to their clients. Marilyn and Frans Baars live in Oakland, California with their two cats, and enjoy outings to Mt. Shasta, San Francisco, and Monterey, as well as walks in the wooded hills behind their home. They have an office in downtown Oakland, and welcome all those who desire to connect to the Archangels to contact them at archangelhealing@gmail.com. Their website is www.archangel-healing.com. THE GOLDEN ESSENCE IS YOU invites you into the hearts and minds of the Archangels as they lead you through meditations and visualizations aimed at raising your level of vibration toward the Fifth Dimension and beyond, all the while giving you major new perspectives on "What Is" and "NOW" TIME, among many other fascinating subjects. It is an exciting new look into the necessity of vibrating faster during the current turbulent state of the Earth, and in the coming years leading up to the Ascension. All of the information contained within THE GOLDEN ESSENCE IS YOU helps in guiding the reader toward a higher vibrational level of existence, with the purpose of reaching the Higher Dimensions of advanced spiritual realms.